We will run a fun-filled holiday programme during the second week of the October school holidays. Yay! 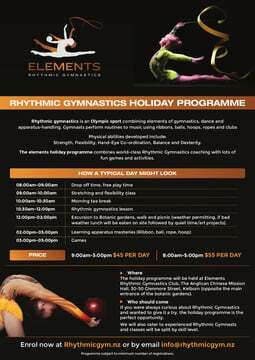 We intend to have multiple coaches so classes can be split into beginners and experienced gymnasts. There'll be stretching exercises, gymnastics sessions, and other activities like arts and crafts. See the PDF for more information. our existing gymnasts to get in some extra practice time.